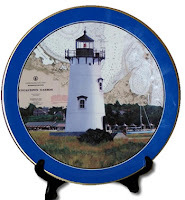 For the plate collector who thinks they have everything! This grim and MORBID collector PLATE is the talk of the town. Premium deluxe in it's fine porcelain finish and exquisite 24k trim! 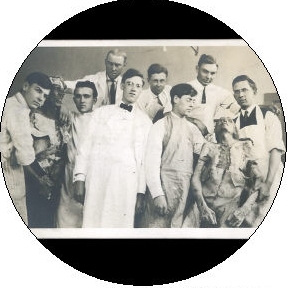 This plate in a series of grim MORBID PLATES features a truly fancy image of turn of the century morticians and their students ready to graduate and for posterity get their photo taken posing with their subjects. Truly grim and fabulously morbid, bound to astound and delight as you proudly display. 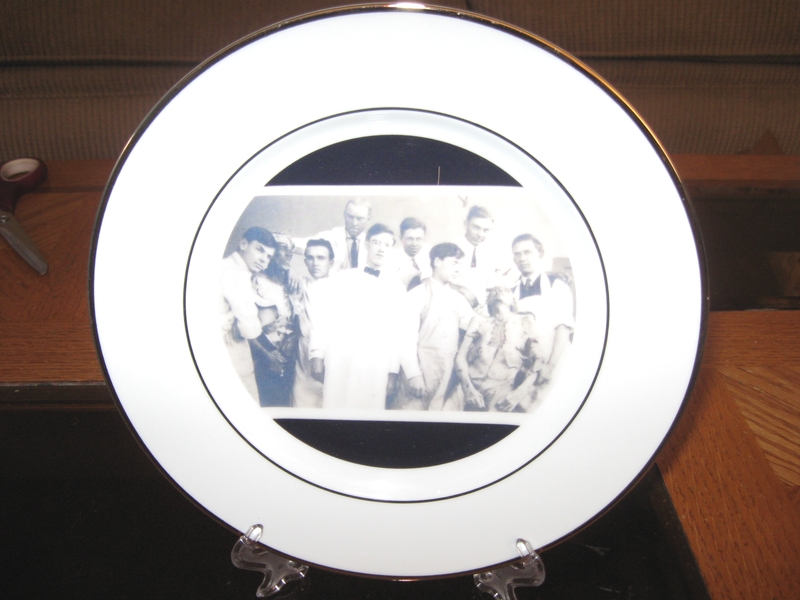 Closeup of collector plate graphic image (note: photograph of plate above isn't representative of the luster and shine of actual plate graphic finish. It's stellar! 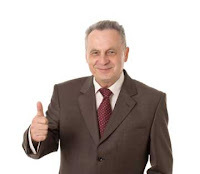 I recently ordered two items from you, and I intend to order more. I mean, your website is so bizarre, weird, twisted, abnormal, and otherwise demented that I must and will refer your site to my friends. I am shocked that such offerings are available from the saintly and self-righteous state of Utah. Who the hell buys these things? Who in their right mind buys and collects picture plates for display purposes? Seems quite stale and boring for me......hell....they don't even use them for the true purpose of a plate.....A PLATTER TO EAT OFF OF! Anyway, to combat this sick array of demented ceramic picture disc collectors, we here at SKARYGUY PRODUCTIONS are in the planning stages of producing a series of our own COLLECTOR'S PLATES. I know, you are saying to yourself, "Hey, you just criticized people for collecting this crap!" Yes, that is true. But I figure if you can't beat em, join em! 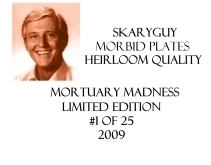 So in the coming week, we will be offering our first COLLECTOR plate in a series of SKARYGUY PLATES (name pending). These plates will definitely spin to the beat of their own spinner. There will be no pretty pictures of QUIET LIGHTHOUSES....no images of FORMER PRESIDENTS...and of course, no ELVIS (FAT OR SKINNY). Stay tuned to this blog, friends. You don't want to be left out in the cold on this one! I promise these to be ultra swank and UBER SKARY! 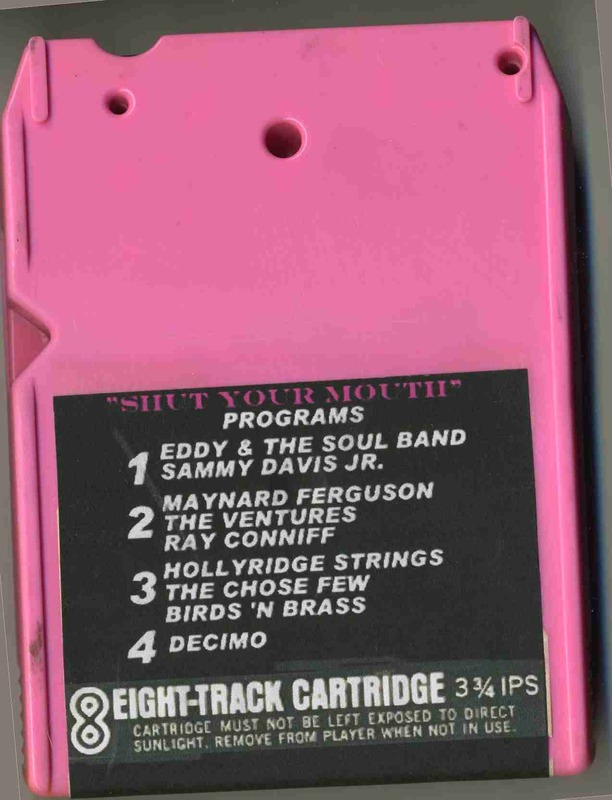 When it comes to 8 Track collecting, there is nothing greater than the truly bizarre releases that to this day, never seemed to make it to CD or even original vinyl release. 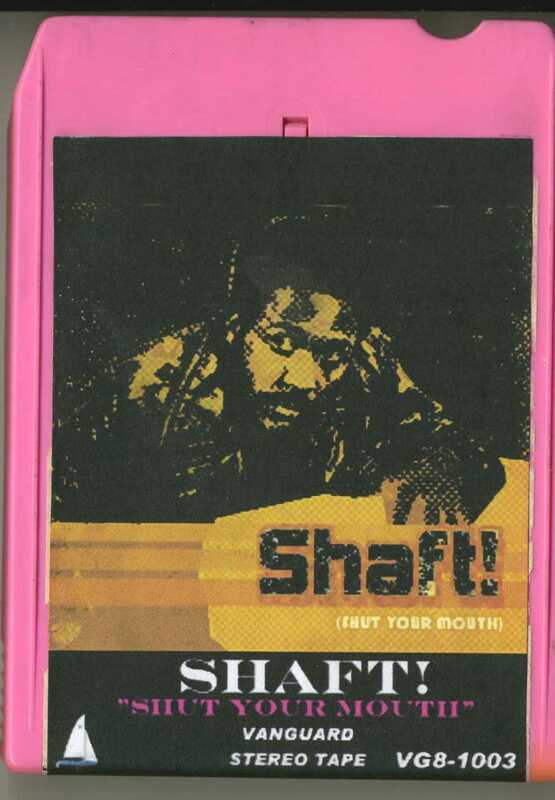 This STEREO 8 copy of SHAFT! (Shut Your Mouth) falls into this category. 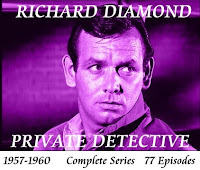 Featuring the most bizarre versions of the Shaft Theme, sorry no Isaac Hayes on this one.....disco version by Decimo, easy listening versions by the Hollyridge Strings and Ray Conniff. Best of all is the Sammy Davis Jr. version......one bad MUTHA! 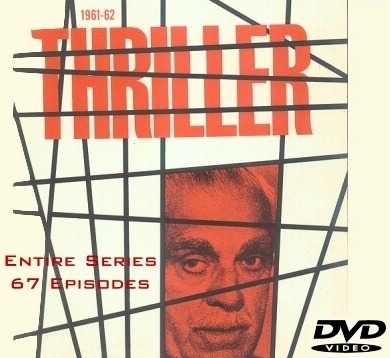 This cart is currently on heavy rotation here at SkaryguyVideo......also have it listed under our MUSIC section on the website......dig it! 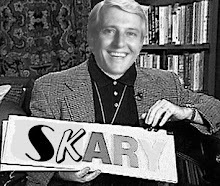 A Skary Blog For Everyone! Hey everyone....Skaryguy here, deciding to jump on this blog bandwagon....is everyone ready? 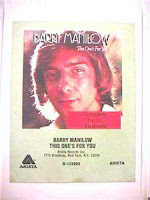 As I sit here typing my latest thoughts while listening to THIS ONE'S FOR YOU by Barry Manilow on original 8 track, I'm starting to think that I'm a quite bit odd. Anyone in this modern day and age who has any common sense would wonder why I have embraced such a dead and obsolete format? 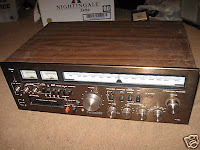 Hey, you can buy them cheap at thrift stores for 25 cents...and they make a wonderful KA-CHUNK noise whenever the tape head changes tracks, what beats that.